The Fitzgeralds Rigid range offers you a made-to-measure solution from the small vehicle with a 7.5 tonnes PTAC to the larger 3 or 4 axle rigid vehicles. Our bodies are designed to fit all types of chassis. 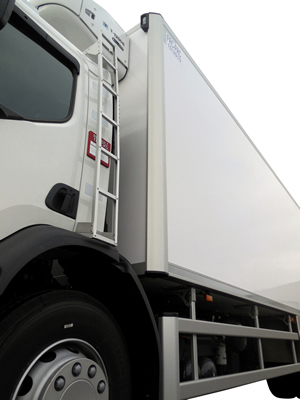 Our bodyworks adapt to your dedicated logistics and optimise your profitability. 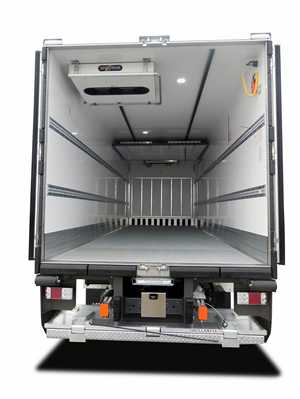 Single or multi temperature, our technical solutions such as mobile or fixed bulkheads,leaf-type or sliding side doors, barn, shutter or lift-up rear doors, retractable or folding tail-lifts will satisfy all your requirements. Pallets, trolleys, flowers, meat hanging, fresh products, frozen products, ice-cream, Fitzgeralds has the solution.